WeatherTech Side Window Deflectors are precision-machined to perfectly fit your 1998 Toyota Sienna's window channel. These low profile window deflectors help to reduce wind noise and allow interior heat to escape. Our light tinted Side Window Deflectors are the only deflectors in the world made with a D.O.T. (U.S. Department of Transportation) approved glazing material. Available in light and dark tint for most vehicles. Designed and Engineered in USA – Handcrafted in Germany. 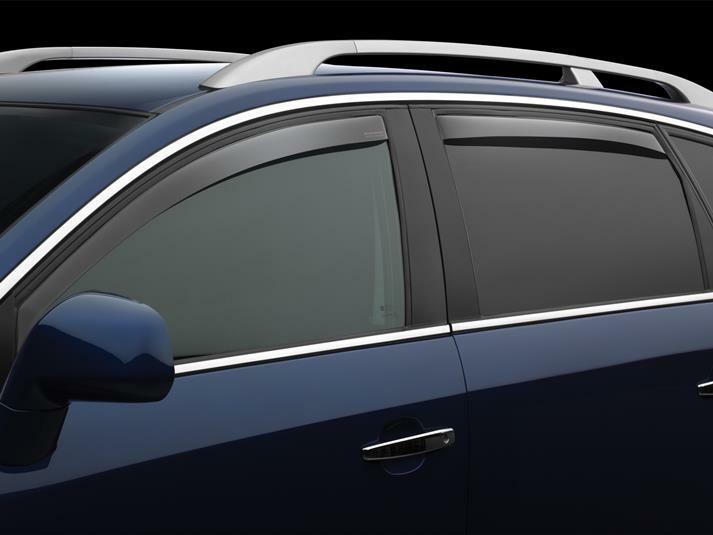 I ordered dark tinted front & rear side window deflectors for our 2018 Toyota Sienna in June 2018. Dealership said Toyota doesn't have those available yet. WeatherTech has a very reasonable price. Arrived by FedEx within a few days. Instructions were clear & concise. I followed instructions & installed all 4 within minutes. Gently put all windows up and left them alone for 24 hours. Perfect fit! Just as advertised! I had purchased my first set for my Saab, then we put them on our 1998 Olds Van. With the purchase of the 2004 Toyota, my first thought was to get the window deflectors. I have been a fan of this product for quite a few years. I like being able to vent with minimal air blowing on me, but now we need to vent the car because my husband is on oxygen. Good product, easy to install (I did it), and the quality is good. I did the sliding door windows as well on the Toyota. In fact when I was installing the delfector, I discovered a problem with the weatherstripping on the window and the dealer corrected that problem and installed the Weather Tech deflector on that window for me. The deflectors are more sophisticated then the metal ones that were on my Hudson (that was along time ago--wish I had a pictre of that). Side Window Deflectors from WeatherTech is very slick looking and it works as advertised. Now I can open in rainy day. I am thinking to purchase the 2nd for my another vehicle. Thanks for the good product. Not very often does a product live up to all the claims in the advertising. But this time, all is true! Easy to install, and it works just like it was advertisied to do. The web page was easy to use and the product arrived in 3 days! I'm really satisified with the service and the product. Keep up the good work! !